Receipt of the completed form will be acknowledged by the school. Parents will be contacted in Term 2 to arrange an interview with the Principal and a tour of St Joseph's including a visit to the Kindergarten classrooms. The interview provides an opportunity to: meet the student and discuss the needs of the student with parents, answer any questions parents may have about St Joseph's, visit the Kindergarten classroom and other general learning areas of the school and after the interview, parents will receive confirmation of enrolment along with details regarding the Orientation Program held in late October and early November in Term 4. Students are to be admitted at the beginning of the school year if they are already five years of age, or if they will have reached the age of five not later than 30th April. To assist with the transition from home to school, all new Kindergarten children are invited to participate in our Orientation program held over three Wednesdays at the beginning of Term 4, where they can experience the routine of school life. On the first Wednesday, whilst the children are experiencing their first session at school, parents are warmly invited to an information session followed by morning tea. 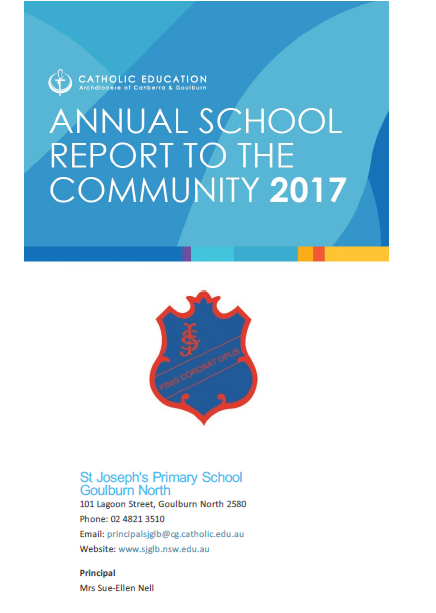 In Term 4, if there are enough interested families, St Joseph's Primary School Goulburn run a six week 'prep for school' program with a three hour session each week in St Joseph's Primary School Classroom. During Term One, Kindergarten children do not come to school on Wednesdays during the month of February. Early in the year each Kindergarten child will be matched up with a Year 6 child who will be his/her special buddy for the year. The Year Six children help to ease the Kindergarten students' first anxious weeks in the unfamiliar world of primary school, and continue to build a strong relationship throughout the year by working together in many ways. Open Day and Parent Information Session Each year during our official enrolment period, an Open Day and Parent Information Session is held to provide an opportunity for prospective families to see the school in operation. The official enrolment period is during May. It is desirable that Kindergarten enrolments be completed during this time, however late applications will be considered. Click this link to view the Enrolment Policy for the Archdiocese of Canberra/Goulburn.